Before conducting an interview, it is important to have an idea of what qualities and skills you are looking for in a nanny and what your specific position entails. Once you have a clear picture, you can tailor the below questions to your specific needs. How did you start working with children? Have you worked with infants? Toddlers? School aged children? How long was your last nanny position? Why did you leave? Is your CPR and infant first aid certificates up to date? If not, are you willing to renew them? Have you ever traveled with a family? Domestic? International? Are you flexible to travel with the family? If so, how often? Are you flexible to live-in during the summers? Do you keep a journal for the children in your charge? If not, would you be comfortable doing so? How comfortable are you giving us daily reports about the child/children? Do you have experience potty training? Do you have experience transitioning children to solid foods? Do you have experience teaching children numbers, letters and colors? Can you help with homework? If so, what subjects? Can you teach our children another language? Do you read and sing to the children? Do you play sports with the children? Do you have any experience with arts and crafts projects? Do you play any instruments? Can you teach our children those instruments? Do you have experience caring for children on the Autism spectrum? Do you have experience caring for children with language delays? Do you have experience caring for children with physical impairments? Do you have experience caring for children with allergies? Do you have experience caring for children with diabetes? Do you have experience caring for children with ADD/ADHD? 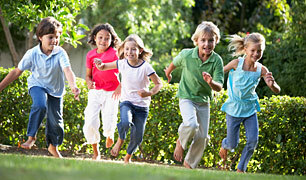 Discuss names, ages and personality traits of the children. Discuss any special needs the children may have. Discuss the children’s educational and social goals. What duties will be expected of the nanny in addition to childcare duties? Who is responsible for purchasing children’s clothing, toys and nursery supplies? Is chauffeuring the child to and from activities part of the job? If a car is provided for the nanny, what are the policies on the use of the vehicle? Are there any special dietary considerations for the child/family? Who does the meal planning and cooking? Be specific about light housekeeping duties for the nanny. Are there any pets in the home? If yes, who is responsible for their care? What are the parents’ expectations of the nanny’s role in the family? Modes of discipline and parenting styles should be discussed. Discuss parent’s occupation and work hours. Do the parents work outside the home or maintain a home business? Do the parents travel for business and will this require overtime and/or overnights for the nanny? What are the hours and days of the position? Is the family planning to relocate or move in the foreseeable future? Is traveling with the family part of the job? Discuss how compensation will be handled if this includes overtime. Discuss how job performance and evaluation will be done. Discuss when raise and bonuses can be expected. What holidays will the nanny have off? Are there any holidays that the nanny might be asked to work? How many sick days will be given during the year? Is the former nanny available to speak to about this job? Discuss what other household help is employed in the home.